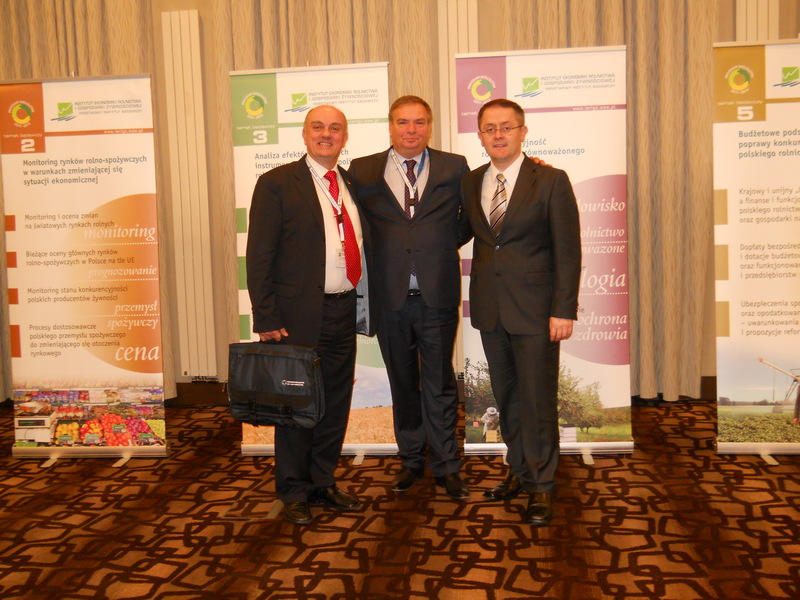 Between 12-14th November 2014 Institute of Agricultural and Food Economics - National Research Institute,Warsaw, organised international conference "The CAP and competitiveness of the Polish and European food sectors". 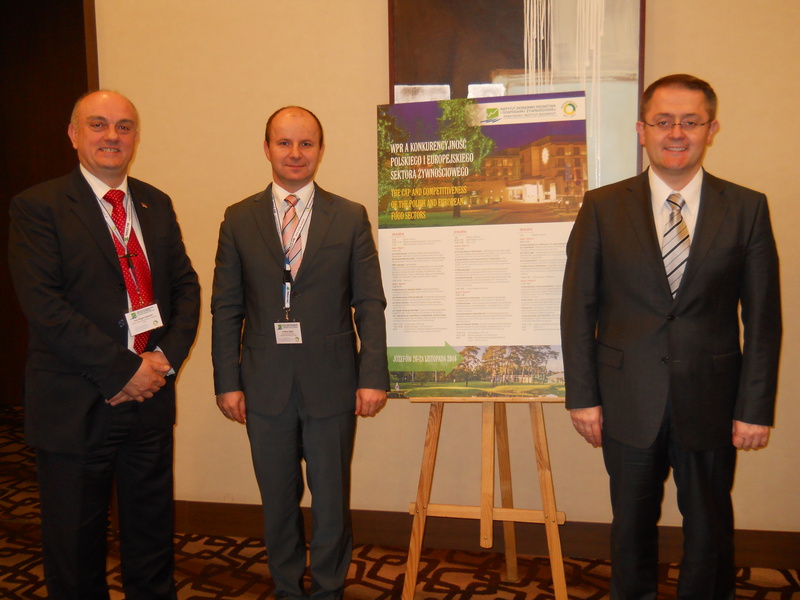 The conference were organized under the multiannual research program "Competitiveness of Polish food economy in the conditions of globalization and European integration” in the place „Jozefowie“ near Warsaw in the Conference Centre of the hotel „Holiday Inn“. The aim of the conference was to present results of research studies, conducted by leading European research centres of agricultural economics, on effects of implementation of the Common Agricultural Policy. In particular, the aim of the conference was to determine the impact of competitiveness on agriculture and food industries. At the conference attended colleagues form Bulgaria, Hungary, Germany, Poland, Portugal, Russia, Romania, Ukraine, Czech Republic, Swiss and Serbia. 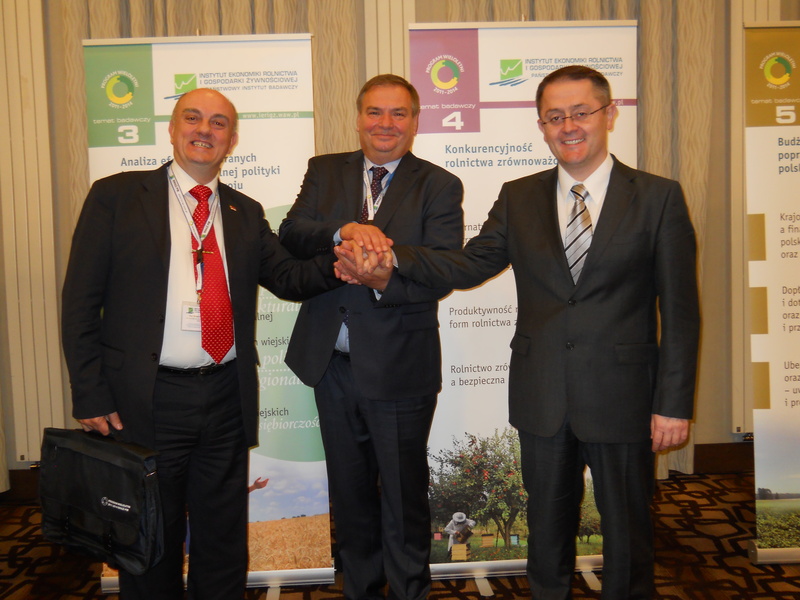 The delegation of the Institute of Agricultural Economics, Belgrade, represented director Prof. Drago Cvijanovic, Principal Research Fellow and Predrag Vuković, M.A. Research assistant.